Tom Cruise has been playing Ethan Hunt for 22 years now since he made Mission: Impossible with Brian de Palma in 1996. Each of the next four films was made by a different director, generally in a pretty distinctive way, which has been a really interesting approach to a film series. That record comes to an end with the previous instalment’s director Christopher McQuarrie returning for a second bite of the cherry in Fallout, though interestingly he has said he wanted to make it in a way that made it seem like he was a different director after all. I’m not entirely sure if that latter point is why he didn’t bring back his usual composer Joe Kraemer (who has written three wonderful scores for McQuarrie) – but whatever the reason, he didn’t, and he turned instead to Lorne Balfe. Anyway, this series has an interesting musical pedigree, with five solid scores for the first five films (six, if you include Alan Silvestri’s rejected effort for the first one). Even Hans Zimmer’s much-maligned contribution to John Woo’s second instalment in the series has grown on me a lot – it’s so outlandishly different, frequently so entertaining, I can’t help but like it after all this time. Danny Elfman’s score for the first one was excellent; Michael Giacchino did fine work on the third and fourth; and then Kraemer delivered an excellent score for the fifth. I guess the run had to end at some point, and here it is. Some have speculated that McQuarrie attempted to make the film to an extent in the style of Christopher Nolan, and if so then I suppose it makes sense that Balfe’s music is essentially a set of variations on the action ostinato from The Dark Knight films. The opening bars of the album (in “A Storm is Coming”) actually sound promising, with the bongos as appropriate, but they’re soon enveloped by the wall of sound that is as predictable as it is unwelcome. We wait a few tracks before we hear the Lalo Schifrin theme, in “Good Evening, Mr Hunt”, where it is repurposed as an action power anthem; “The Plot” appears midway through “Change of Plan”, just about raising its head over the horrible synth noises which rather ruin what could otherwise be an impressive piece of music (the choral writing is actually more than decent – and even the brass which repeats endlessly is pretty dynamic and sounds, for once, like actual instruments). Each of the Schifrin pieces is used frequently through the album. Now, the album: it’s 96 minutes long. There’s no getting around that – it’s 96 minutes long. I’ve watched probably 200 hours of television featuring Bear Grylls, frequently in desperate situations, and let me tell you that I’ve never seen him have to endure an experience quite as arduous as 96 minutes of music from Mission: Impossible – Fallout. I think you could forgive the blatant Dark Knight lifts if they didn’t go on and on, monochromatically for so long. There is none of the wit or sophistication of the other scores in the series – it really is just one sound which never alters, never gets more or less colourful, always just stays grey. There are no moments of heroism, no suggestions of villainy – there’s no joy, no sadness – it’s just the same thing repeated for what seems like an eternity. ﻿﻿﻿﻿﻿ And that’s the thing: however well it does or does not function in the film, if you’re putting this music on an album, you can’t in your wildest dreams think it can possibly sustain 96 minutes. As a result, it is fiercely, oppressively boring: I can imagine that in a more discerningly-produced album, a track like “Stairs and Rooftops” might stand out and provide some entertainment, but here it gets lost. We’ve heard it all before, but it’s not bad music as such – it’s just so dull. No doubt Balfe was doing what he was asked to do, the problem is that it’s really rather hard to understand what happened to Christopher McQuarrie that made him think this was what he needed to ask for. I guess maybe the kids might love it; sadly, I don’t. Why do composers insist on such lengthy albums? Ego? Hubris? I’ll never understand it. All it would take is a word from Balfe to an assistant to edit together the best 40 minutes of the film’s score. I actually like long albums like this. It just makes me happy to know they’re trying to leave as little music off as possible. I feel it’s the closest thing we can get to a commercially released complete score. “Even Hans Zimmer’s much-maligned contribution to John Woo’s second instalment in the series has grown on me a lot – it’s so outlandishly different, frequently so entertaining, I can’t help but like it after all this time”. I’m pretty sure you liked it from the beginning. You originally gave it 4 stars back in 2000. Did I? Well well well. I must have been the only one who did, I remember it being much-criticised at the time. This score is dreadful. We don’t need another Zimmer clone in the film music world. Appalling stuff. Zimmer’s M:i 2 has also grown on me… But not that much! I agree with your vision of this new score, there are some “nice” moments, but ultimately is a quite boring and uninspired work. Was also very disappointed in this one. Been looking forward to it for a couple of years, since Kraemer absolutely knocked it out of the park (assumed he’d follow it up). Was still hopeful when Balfe was announced – from memory his Penguins of Madagascar was quite fun. Absolutely understand wanting a different sound to continue the MI tradition, but this is just so generic and feels lazy. You’d have to assume McQuarrie wanted it that way as well, which is a shame. Have heard it works quite well in the film though, which I guess is a bit of comfort. Funnily enough, “A Storm is Coming” is also the title of the first track of the Dark Knight Rises soundtrack. 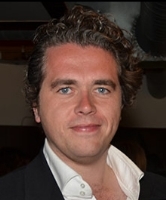 It’s seems that for Lorne Balfe, creating a unique, quality score is an impossible mission. Lots of drumming–then BALFE’S very exciting reworking of SCHIFRIN’S theme, sounding sensational on the Cinema’s state-of-the-art Audio system, introduces this overlong take on the franchise. The remainder of the original score is boring and forgetful. And without marvellous themes, just somewhere, to anchor this movie, it too becomes forgetful. Why are directors and composers no longer aware of the power of music to cement movies in our minds decades after their release, thanks to memorable themes? JOHN BARRY…..HENRY MANCINI, GOLDSMITH, HORNER, MORRICONE, DELERUE and before them, Hollywood”s Golden Age composers, directors and producers were all aware of the magic that occurs in the minds of audiences when visuals are augmented by the music of composers who were gifted with the power to create scores that had longevity long after the films were forgotten. Surprised to see all this negativity. I’m not exaggerating when I say this is one of my favorite action scores ever. It just fills me with energy. Looking at other forums many people agree with me. I guess Lorne Balfe is just hated on this site. By the way, I don’t see a problem with a lengthy soundtrack like this, and to suggest it has something to do with ego or hubris is ridiculous. I’d be angry if I heard a great moment in the score of a film and I couldn’t find it on the album. Mart, in many ways I have to agree with you. I really enjoyed this score and it is definitely one of the better action scores of the past couple of years- and in the same breath of Rogue Nation as the best M:I score. I especially agree that this site does not seem to appreciate the Lorne Balfe/Hans Zimmer sound, overall. Thanks! According to Kraemer, he wasn’t even contacted by McQuarrie and Paramount if he could return. I’m not sure if Kraemer and McQuarrie had a falling out after MI: Rogue Nation or not, but it’s a real pity. Balfe’s score is barely serviceable in the film, it just drones in the background. McQuarrie would’ve given it so much more. My apologies, I meant “Kraemer would’ve given it so much more”, not McQuarrie.